Today’s children are constantly distracted by notification beeps, texts, floating messenger icons, and social media apps that deliver a shot of dopamine to the brain with every new “like” or “share”. 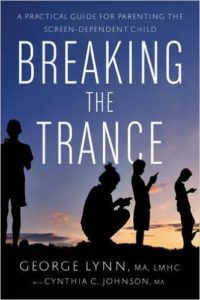 Breaking the Trance: A Practical Guide for Parenting the Screen-Dependent Child offers proven solutions to help anyone break their obsession, and develop a healthier relationship with technology. Author George T. Lynn, MA, is a Licensed Mental Health Counselor who pioneered the use of psychotherapy for those with neuropsychological issues. He has lectured internationally and is the author of four popular books on parenting children with extreme behavior challenges. Co-author Cynthia C. Johnson, MA, is the founding director of the Venture Program at Bellevue College, the first degree program in the nation for students with learning and intellectual disabilities. Also today, our current political climate might have you wondering “What happened to kindness?” According to Dr. Tara Cousineau, science has proven what ancient wisdom always claimed, that kindness is a happiness fix. 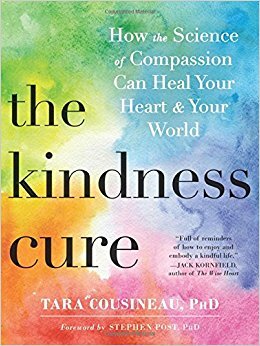 In The Kindness Cure: How the Science of Compassion Can Heal Your Heart and Your World, you’ll explore how to strengthen relationships and promote compassion toward ourselves and others. Dr. Cousineau has a PhD in Clinical Psychology and is a former Harvard Medical School Fellow and a licensed psychologist with a private practice.